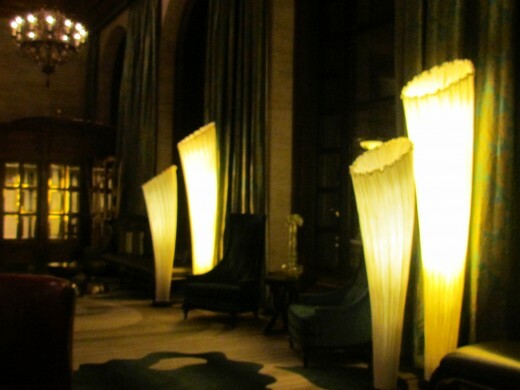 In the lobby and ballroom of Hotel DuPont are beautifully displayed crystal chandeliers. The suite we stayed in for the weekend included a king size bed with the adjoining suite that featured double beds. The Green Room, with its "unforgettablei setting" of Shimmering draperies, chandeliers of pure gold, winged back chairs, delicious food and intimacy. 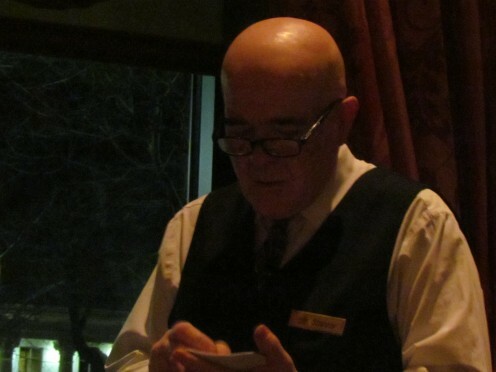 Shariar, who has been employed at Hotel du Pont for more than 26 years was our outstanding waiter for the evening. 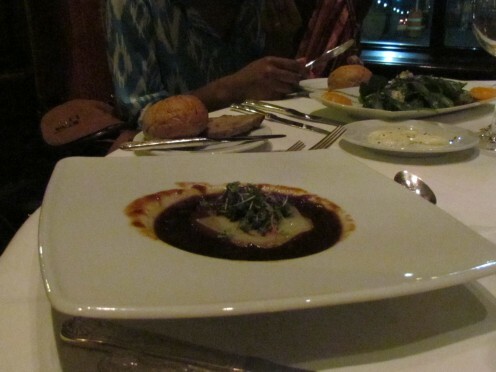 Succulent French Onion Soup was just one of our starters for dinner. Pan seared scallops with a delectable sauce. 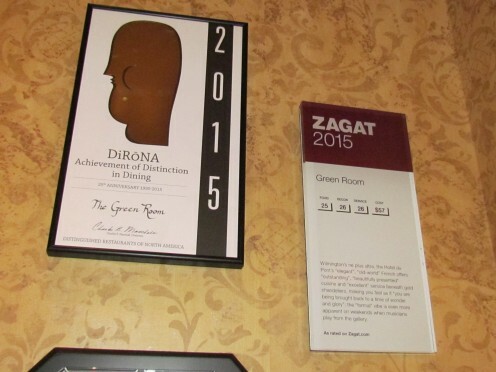 Awards won by Hotel du Pont's posted outside of the Green Room's restaurant as a winner for 2015 regarding outstanding food and service. 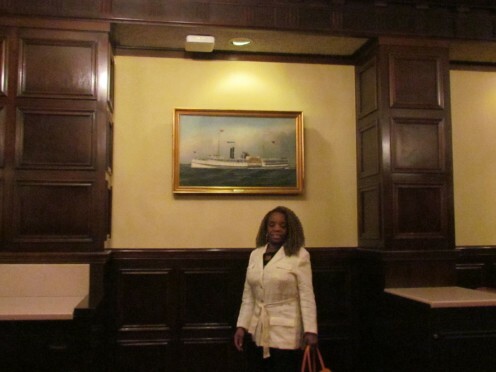 A walking tour of the Christina Room at the hotel with original paintings by Andrew Wyeth and other family members. 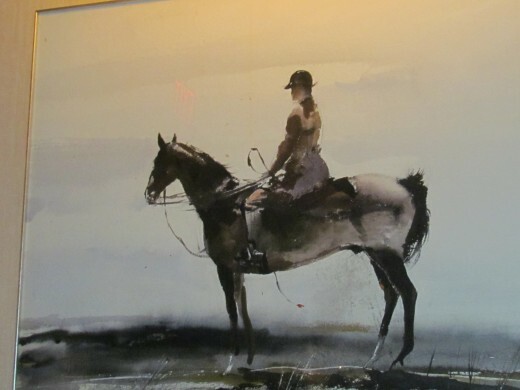 This one of the largest private collection of this major artist. This painting is entitled "Skiff in the Cove" by W. McCoy. 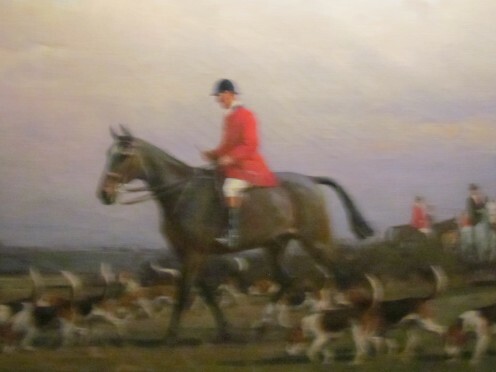 A painting entitled, "Master of the Fox Hound." My sister and I along with our daughters and her granddaughter prancing around in the beautiful "Gold Ballroom," where beautiful wedding receptions are held. 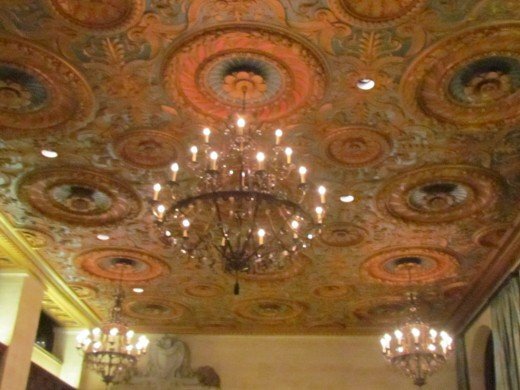 One of the decadent chandeliers with fantastic craftsmanship and "graffito," etched into the walls. The ballroom "showcases 20 medallions of history's most acclaimed women, including Cleopatra, Helen of Troy, Pocahontas, and Madame du Barry." 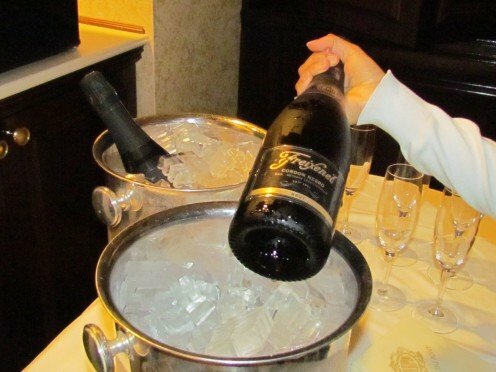 Two bottles of Champagne, awaited us upon the return to our suites after dinner and dancing in the ballroom. We had to experience breakfast in our suite that consisted of omelets, sausage, bacon, medium fried eggs, cured ham, coffee and a variety of juices. 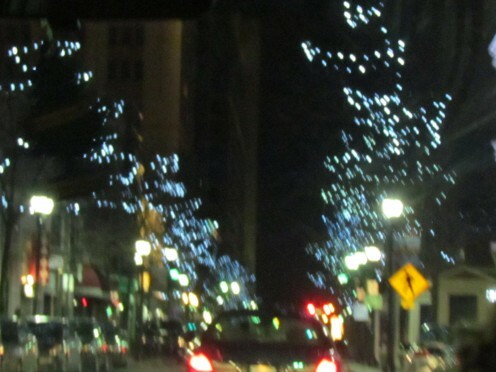 Beautiful lighting, existed on the streets down the street from the hotel. 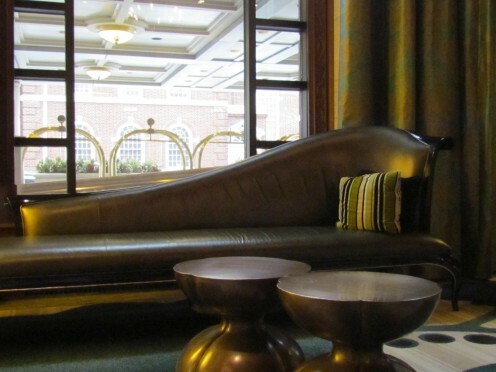 A photo of a stylish furnishings in the lobby of Hotel du Pont. Upon leaving the hotel, The Playhouse On Rodney Square, "opened in 1913, the beautiful and historic, Victorian-style theater has been praised as one of the finest proscenium theatres in the country." 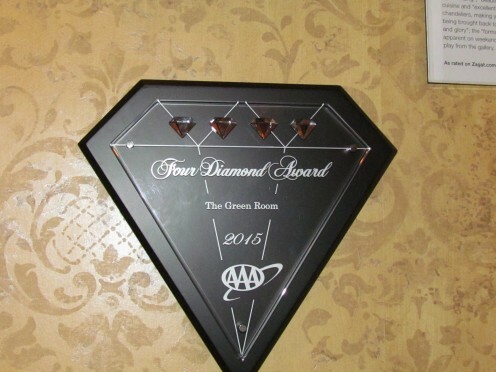 Another major award won by the Hotel du Pont that is posted outside of the restaurant. 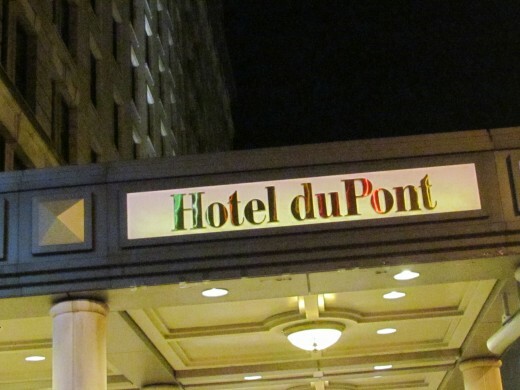 An architectural masterpiece of distinction exists in #Hotel du Pont, located downtown Wilmington, Delaware. Once you walk through the illustrious, statuesque, walnut doors; you are transformed into a period of pure solace and renowned hospitality. The hotel had its momentous grand opening more than 103 years ago, with designs of the "Italian Renaissance style." 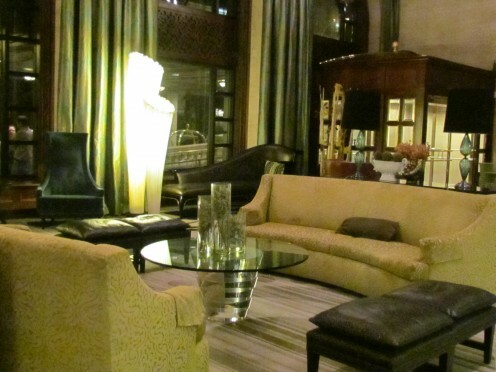 Hotel du Pont's lobby was redecorated in 2010 with stunning modern furniture and famous artwork that welcomes you graciously. This edifice of prominence is a symbol of historical intrigue and elegance. We must genuinely give thanks to our Heavenly Father Jehovah, for giving humankind such creative thinking ability to construct such awe-inspiring structures. It is now my privilege to share this resplendent taste of architectural magnificence with my readers. 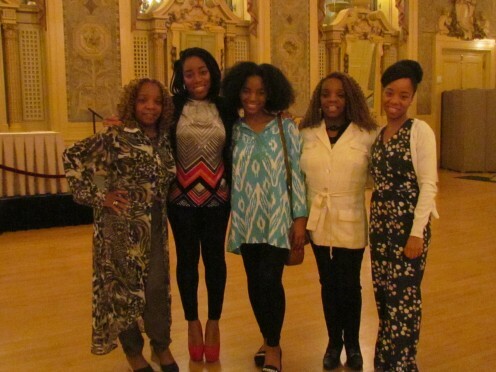 A weekend getaway for my twin sister Paulette, her daughter Chante and granddaughter LaShae. My daughters Wanisha, Jaleesa and I, were fortunate enough to spend a weekend at this fantastic hotel. 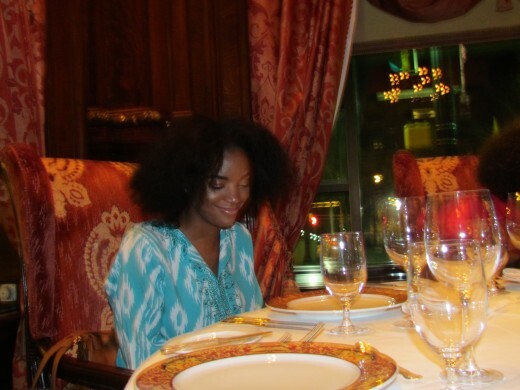 Thanks to my son-in-law Muhammad Bey, is employed at Hotel du Pont and my daughter Wanisha, who organized this awesome weekend. The hotel with all its meritorious appearance is somewhat pricey but as the old saying goes, "you pay for what you get." 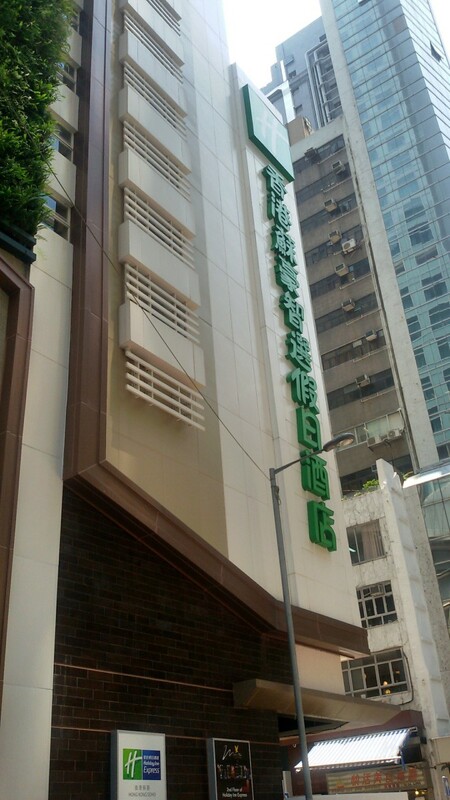 From the time of our arrival, we received outstanding service. 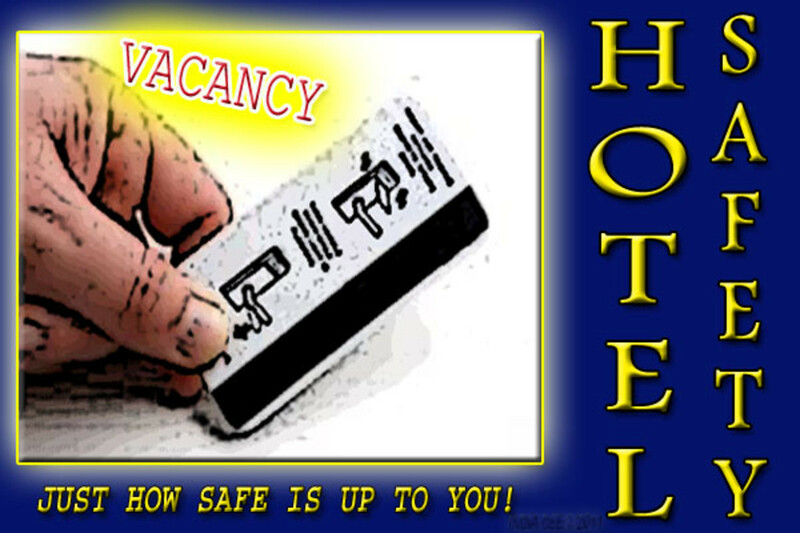 Professionally dressed valets, baggage handlers, and front desk staff were very attentive to our every need. When we arrived in our suites, exquisite was an understatement. My older sister Linda and her husband Randolph, previously stayed at Hotel du Pont last year when my daughter married Mo. After the wedding, she expressed, "My husband and I hated to leave. 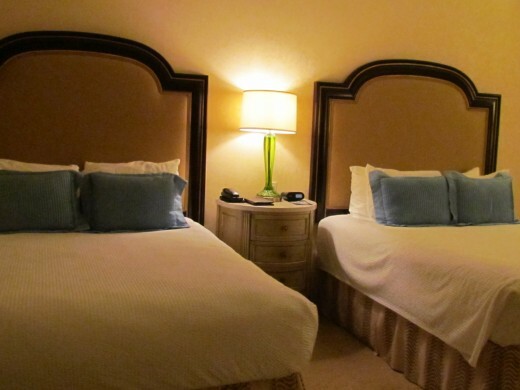 After we returned from the wedding ceremony, our suites were clean, and the clothes that we left out were even hung up." My sister Lean who also stayed said, "It was the best hotel I have ever stayed at." We all agree unanimously with these statements. To make our experience more identifiable; remember, Queen Latifah, in the 2006 movie Last Holiday. Latifah supposedly tried to spend the last days of her life in a swank hotel where she ate great food and enjoyed the ultimate source of lifestyle, regardless of cost. We could never afford what the Queen experienced, but we did try to see what this type of lifestyle would be. It was interesting to see how the wealthy live. 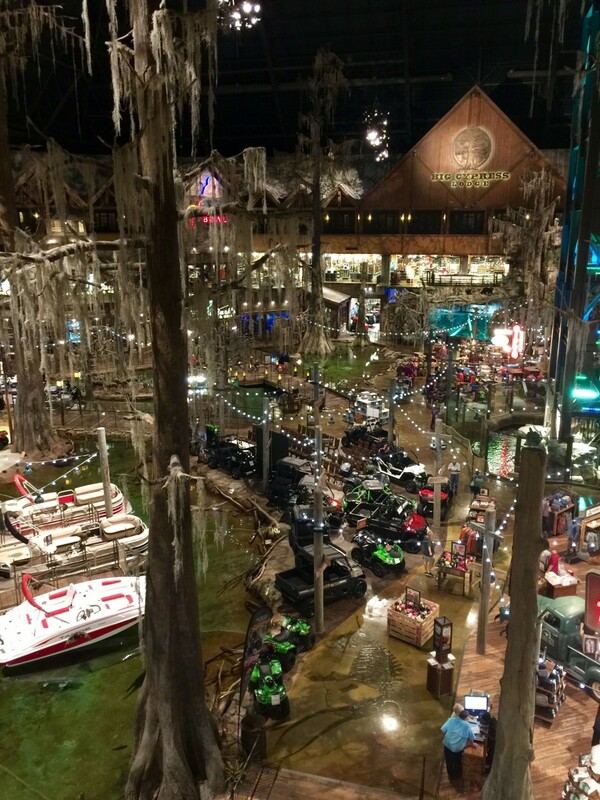 Although we must humbly attempt to be in search of the very best deals that we can afford whenever we travel. 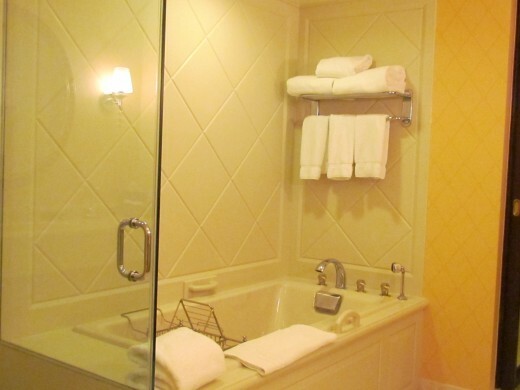 We were able to stay for the weekend in two adjoining suites with cozy beds, oak-paneled columns, stylish furniture, and every amenity from bubble baths to designer shower gels, lotions, comfy white bathrobes, and shoes were also provided. We truly enjoyed this unforgettable weekend. Once we unpacked, it was dinner time. 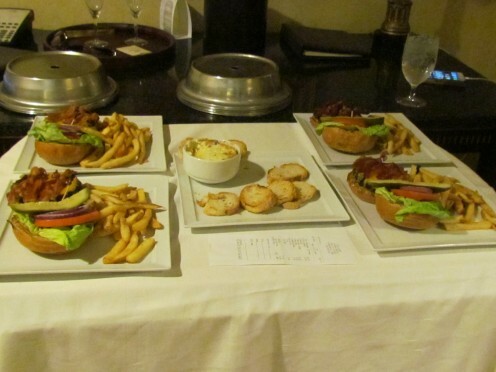 We made reservations at the hotel's restaurant. 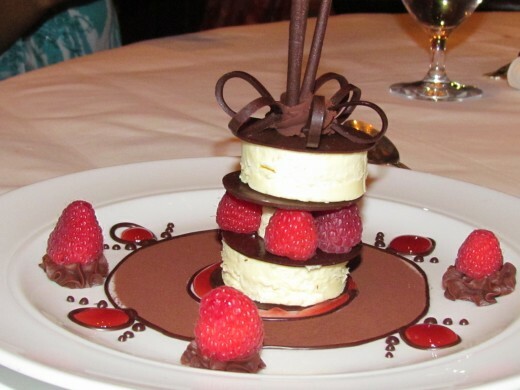 A Self-Guided Walking Tour brochure described our dinner experience this way, "The Green Room offers the finest French cuisine in an unforgettable setting of fumed oak paneling, coffered oak beamed ceiling, Italian mosaic floors, and original oil paintings. 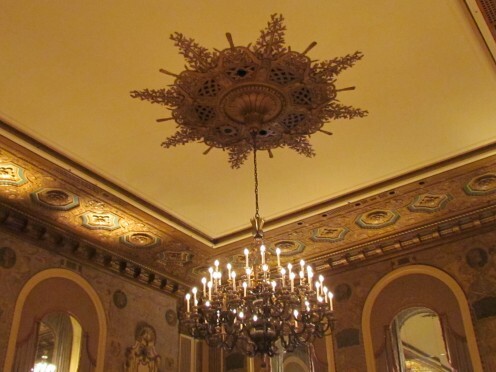 As you look up, admire the chandeliers made of pure gold imported from Spain. The Green Room features a colorful combination of new and old; including shimmering draperies, comfortable wingback chairs, and Versace patterned china. 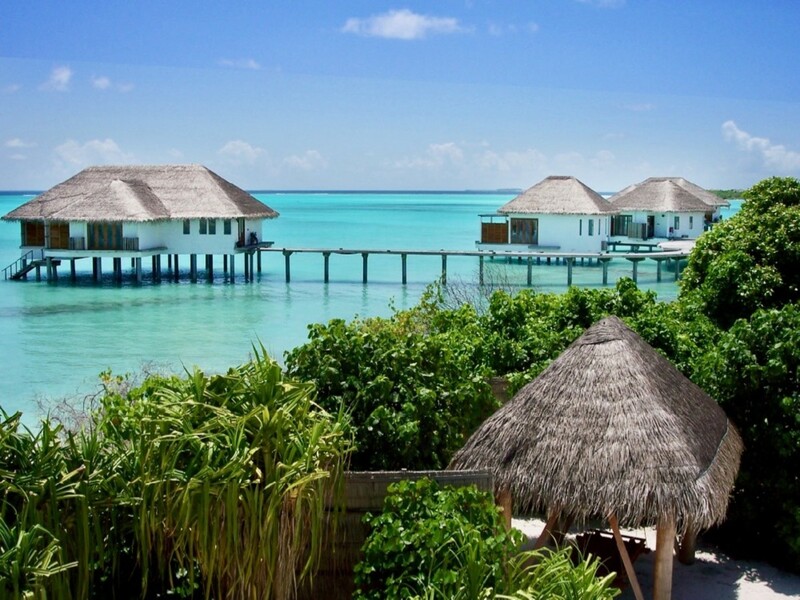 The perfect setting for an intimate dinner for two followed by a memorable wedding proposal." We did not see any exciting wedding proposals performed but the ambiance and delectable food are outstandingly appropriate for any momentous occasion. We were superbly served by Shariar, who has worked at the hotel for more than 26 years. His professionalism was very refreshing. Drinks such as Dirty Martinis and Long Island Iced Teas, were partaken. 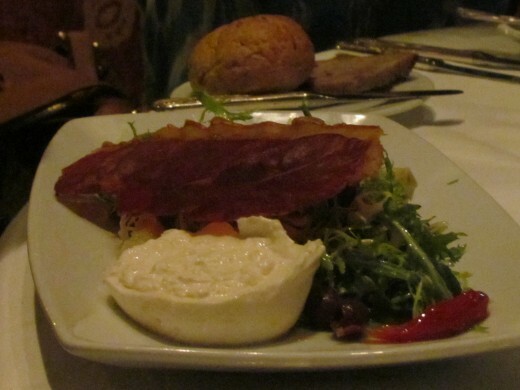 Various specially prepared salads and French Onion Soups were our starters for the evening. 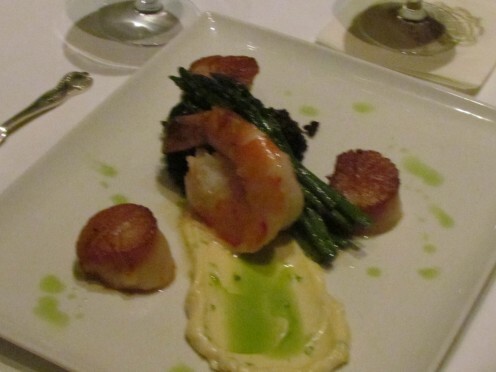 Impeccable plates of great taste and appearance were presented such as Pan Seared Crab Cakes with fried spinach, Surf and Turf, Pan Seared Scallops and luscious desserts. A delicious assortment of cookies was available at the end of dinner as well as after-dinner drinks. 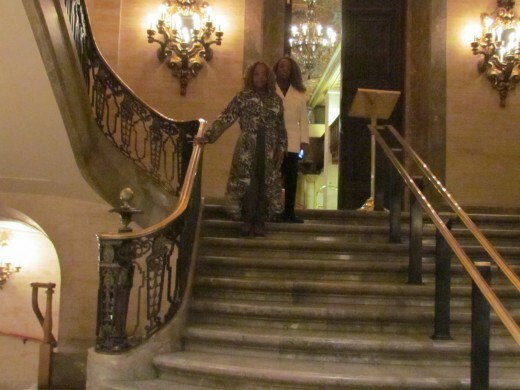 After an outstanding dinner, we went on a self-guided tour of the hotel. 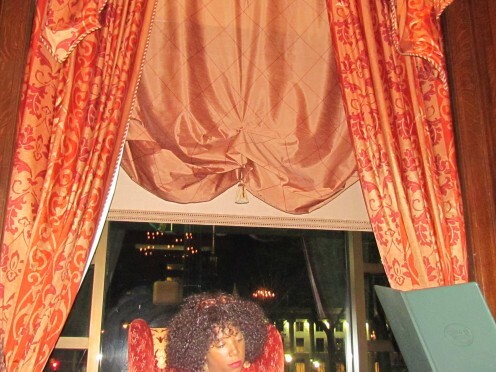 The luxuriance of the Gold Ballroom is breathtaking. Within the guided tour pamphlet it is described as, "The Gold Ballroom is a testament to long-lost craftsmanship with the execution of walls decorated in "graffito." Translated to "scratching" this Italian Renaissance artistic style includes multiple layers of colored plaster, scratched with special tools to dictate the color and design." The Du Barry Room is also part of the tour with "a beautiful crystal chandelier imported from Yugoslavia. Although it is not original to the room, it enhances the beauty and splendor of the room." 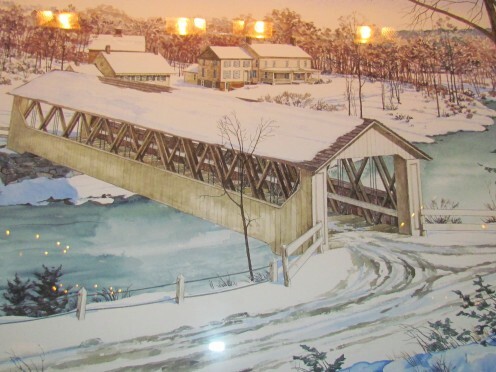 Some of the world's most prestigious original paintings by# Andrew Wyeth and "three generations of Wyeths, N.C., Andrew and Jamie," are displayed in the Christina Room. Another magnificently decorated room within the hotel is the Brandywine Room. "Stars would also gather in the Brandywine Room for quiet conversation and tea, and would dine here, after the show such as Ingrid Bergman and her daughter #Isabella Rossellini." 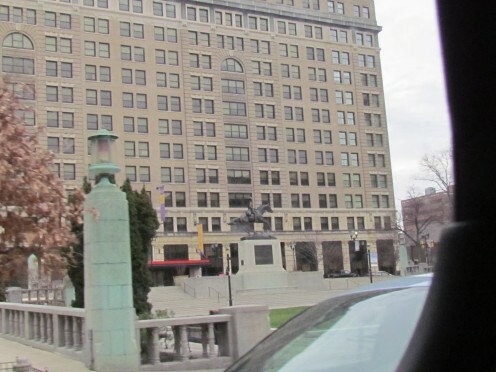 For entertainment, "The Playhouse on Rodney Square, is Wilmington's home for touring Broadway productions, but also plays host to many other performances and events throughout the year. The Playhouse, now operated by #The Grand Opera House, has remained open for every season for the past 102 years, earning it the distinction of being the oldest continuous theater on the Broadway touring circuit." For additional information and tours contact box office at 302-888-0200. The Self-Guided Walking Tour pamphlet mentioned, "Throughout its history, the 217 room Hotel du Pont has welcomed many notable guests including Nobel Peace Prize recipient Archbishop Desmond Tutu; US future and past presidents, including John F. Kennedy, sports legends, such as Joe DiMaggio; members of royalty, such as #Prince Rainier of Monaco and other iconic celebrities-Charles Lindbergh, Amelia Earhart, Katherine Hepburn, Eleanor Roosevelt, and more. Current political and entertainment figures who have attended events at the Hotel include #Barack Obama when he was Presidential nominee, Vice President Joe Biden, Bruce Willis, Reese Witherspoon, #Denzel Washington, even entire sports teams, such as the Tampa Bay Rays and the Arizona Cardinals." If you are interested in more information on the Hotel du Pont, please go to their website or as the pamphlet explained, "For more history and images of the Hotel, visit our gift shop to purchase our books 'Images of America: Hotel du Pont', and 'Images of America: DuPont Theatre'. Thanks for your comment as well.Looking forward to future articles from you. Gorgeous Hotel!!! Thanks for the lovely review.